In honor of tonight's dinner. I want to share this fabulous (and really very easy) recipe from Southern Living. The time needed for this dinner is 1 1/2 hours, but most of that time is spent with the pot simmering, so you are not in the kitchen the entire time. Peel shrimp, reserving shells. Bring shells & 4 cups water to a boil in medium saucepan over med-high heat; reduce to low, and cook 20 minutes. Pour shrimp broth through a colander over a large bowl, pressing shells with back of a spoon; discard shells. Heat oil in Dutch oven over medium heat; stir in flour, and cook, stirring constantly, until flour is caramel colored (about 8 - 10 minutes). Add onion and next 3 ingredients, and cook, sitrring often, 5 to 7 minutes or until tender. Stir in 2 cups shrimp broth, tomato past and next 4 ingredients. Reduce heat to low and cook, stirring occasionally, 45 minutes. Add shrimp, and cook 10 minutes, stirring in 1/2 to 1/2 cup remaining shrimp broth to reach desired consistency. Meanwhile, bring milk, 2 1/2 cups water and salt to a boil in a saucepan over high heat. Gradually stir in grits. Reduce heat to low, and simmer, stirring occasionally, 10 to 12 minutes or until thickened. 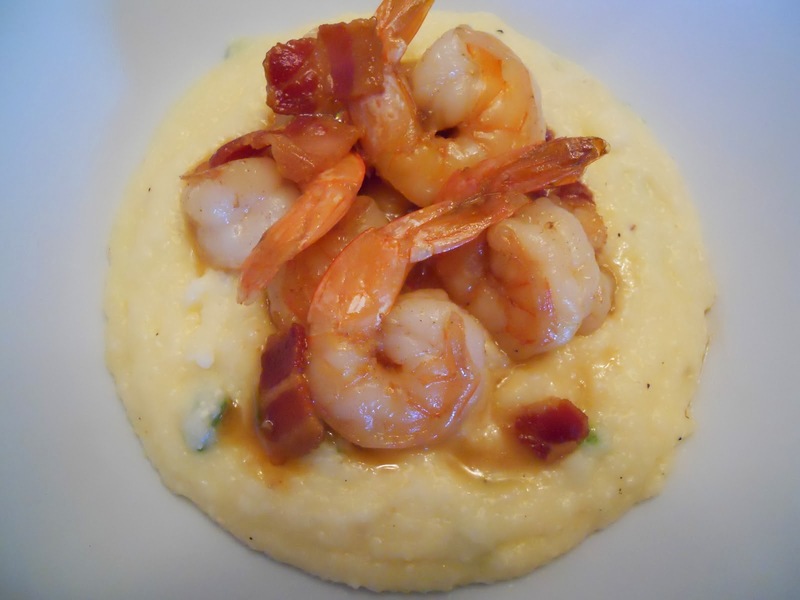 Serve creole shrimp over the grits. *I' had never created a roux out of flour and oil - I've always used flour and butter, so you could try that if you'd rather not use the oil.